For families in Schaumburg and Algonquin who want a high-performance driving experience, a well-appointed cabin, and plenty of cargo space, the 2016 Mazda CX-9 is the best bet. Back this year with a powerful engine, three rows of seating, and an abundance of flexible cargo room, the Mazda CX-9 will fulfill most family needs. Still, some shoppers consider other models, like the 2017 Hyundai Santa Fe. While both of these SUVs offer many features buyers prefer, the Mazda CX-9 is a better buy overall for a number of reasons. 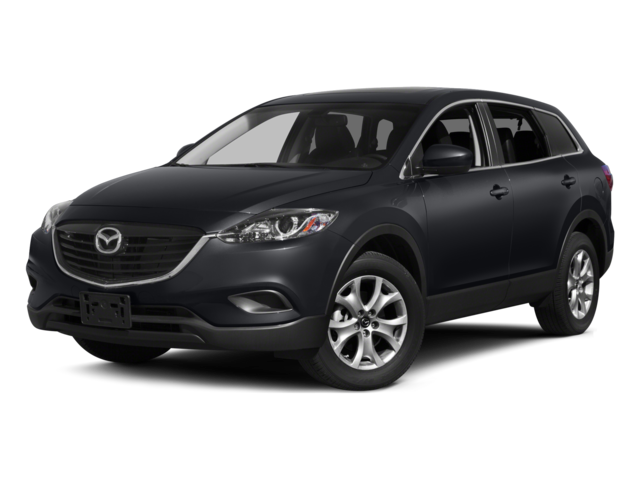 2016 Mazda CX-9 Specs – This large crossover comes equipped with a 2.5L turbo 4-cylinder engine that pumps out a commanding 310 lb-ft of torque for responsive acceleration. In addition, the Mazda CX-9 relies on Mazda’s signature suspension and precision steering to deliver a smooth driving experience. 2017 Hyundai Sonata Santa Fe Specs – This model’s 3.3L V6 only offers 252 lb-ft of torque. Additionally, the handling on this model isn’t as responsive as the Mazda CX-9 due to a longer wheelbase and narrower wheels. 2016 Mazda CX-9 Cargo Space – When it comes to cargo space, the 2016 Mazda CX-9 is at the top of the pack. It delivers 14.4 cubic feet of room behind the third row of seats and third row seats that fold completely flat to the floor. 2017 Hyundai Santa Fe Cargo Space – The 2017 Hyundai Santa Fe offers just 13.5 cubic feet of storage with the second and third row seats up, which falls short of the capacity in the Mazda CX-9. The Santa Fe also lacks the flat-folding third-row seats that that the Mazda CX-9 includes. Inside the cabin of the 2016 Mazda CX-9, it’s clearly evident how it surpasses the Santa Fe in terms of convenience, technology, and comfort. 2016 Mazda CX-9 Features – When you’re driving in the 2016 Mazda CX-9 Grand Touring, you can take advantage of the heads-up display to view valuable information without taking your eyes off the road. Also, all versions of the 2016 Mazda CX-9 come standard with dual zone air conditioning, so that passengers can change the temperatures individually to fit their own needs. 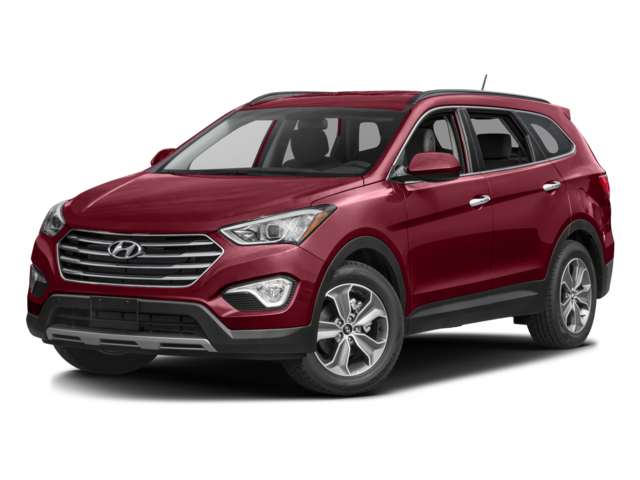 2017 Hyundai Santa Fe Features – When you get inside the 2017 Hyundai Santa Fe, you won’t find dual zone air conditioning as a standard feature. The Santa Fe also doesn’t offer the added convenience of heads-up display. Stop in for a test drive in the 2016 Mazda CX-9 to discover why this is the right large crossover for your family. Our informed staff will be happy to help guide you in your search to find the best model, trim, and package to fit your needs. Find out if financing the 2016 Mazda CX-9 is right for you by visiting our Mazda dealership near Schaumburg at 1320 East Chicago Street in Elgin.